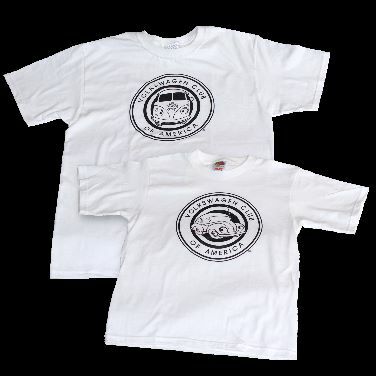 Create a one-of-a-kind VWCA T-shirt with one of our Paint Your 'Wagen tees and your own creativity. Fabric paints or markers (available at your local craft store) are all that's standing between you and a show full of people envious of your unique VW shirt. Color the Bug or Bus to match your ride or just go wild! Check our on-line photo gallery for some ideas to get you started.